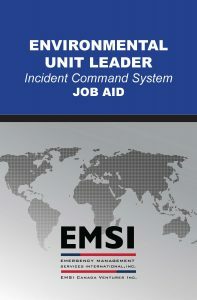 Focusing on the role of the Environmental Unit Leader (EUL) in executing environmental duties under an Incident Command System (ICS), this course covers the EUL functional responsibilities and the EUL role and contributions to the operational planning process and response operations. Students should have a working knowledge of the fundamentals of ICS and expertise in the Environmental Sciences related to an emergency response. This course is an instructor-led training that supports learning through discussion, lecture, and active participation in multiple exercises that provides a realistic, hands-on approach to mastering the skills required of an EUL.